Prioritize your goals. Focus on what matters. Show how you grow, with the Boardview App. 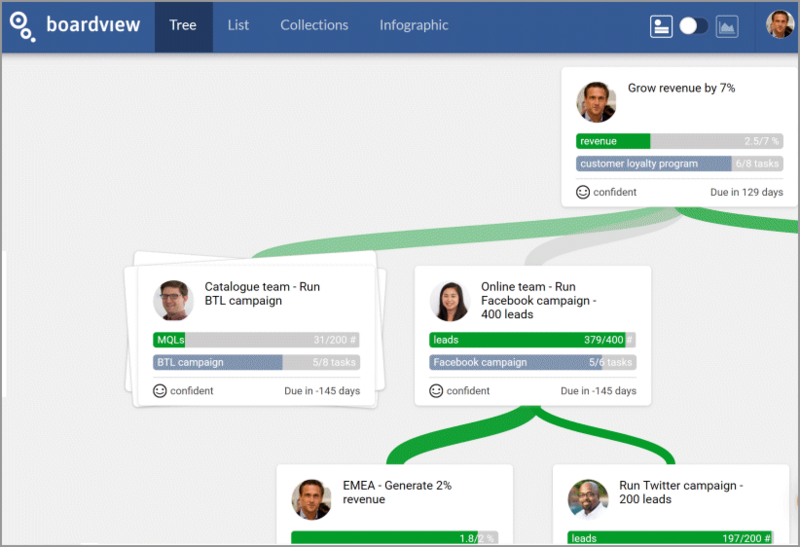 Visualize how marketing activities contribute to company growth. Adjust your strategic focus and see the impact on underlying goals. Make sure every single individual contributes to team success. Drag ‘n drop your objectives in the Boardview Tree. Turn your marketing strategy into your own interactive infographic. 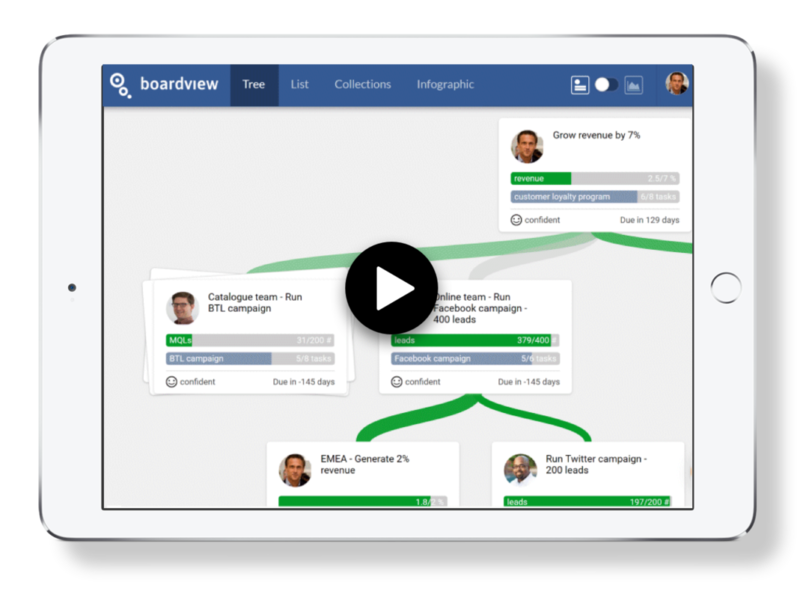 Visualize how marketing activities contribute to company growth. Create 100% S.M.A.R.T. goals with the Boardview Card wizard. Add your goal details step-by-step and define your success. Make your team more focused and productive than ever. 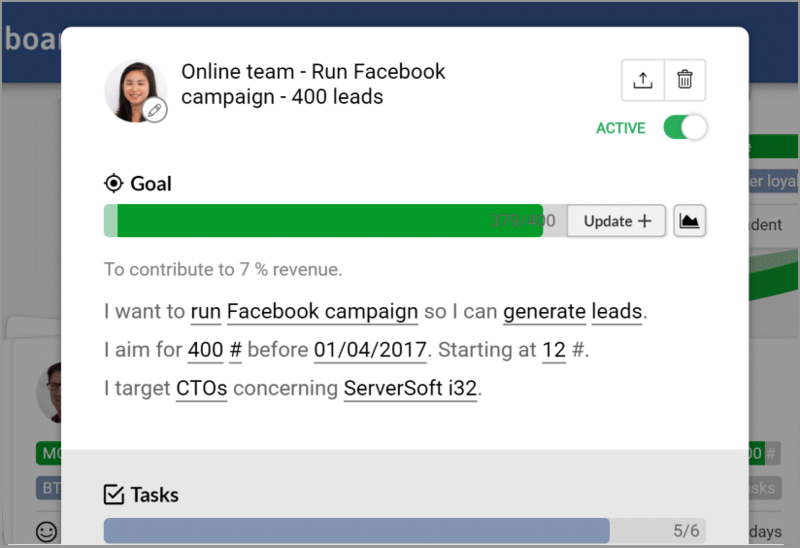 Automatically generate your weekly strategy progress report, sent to you by email. 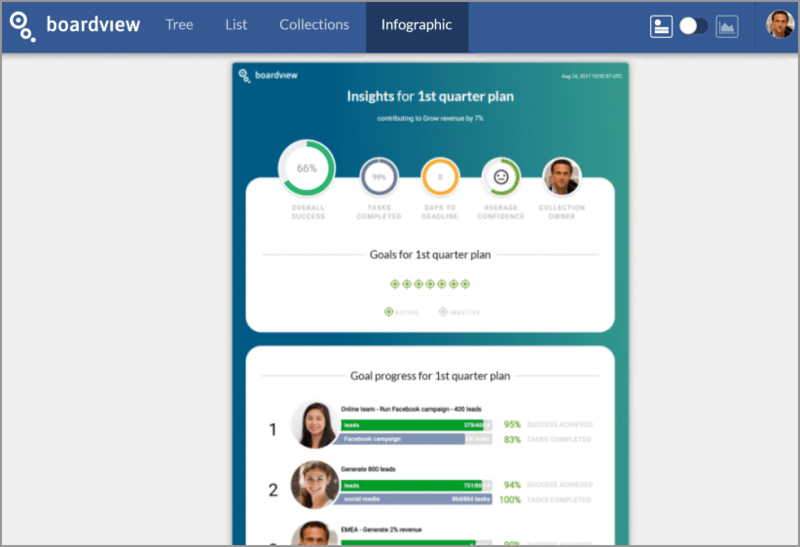 Create Boardview Infographics for any group of goals and share with the team. Know where you're going.